Sweetpeas are one of my favourite flowers, mainly for their scent and the abundance of blooms. I have learnt to keep on picking and not let even one flower set seed until I want it to. That way the plant keeps on producing buds in its quest to reproduce! I like to pick a bunch every couple of days during late June and July. Last year we had so many sweetpeas flowers in all shades from white through to pink and on to deepest purple. I saved the seeds and sowed them in spring. Its looking like another good sweetpea year! 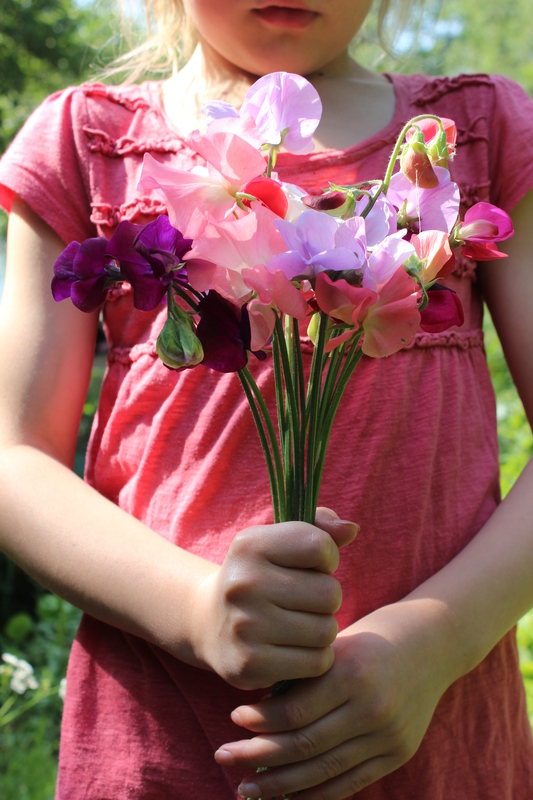 This entry was posted in Uncategorized and tagged A posy from my garden, My garden design, Permaculture, Permaculture Diploma, Summer, Sweetpeas by emilycrofton. Bookmark the permalink.